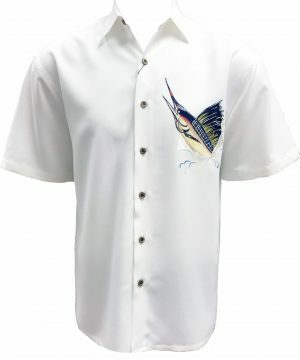 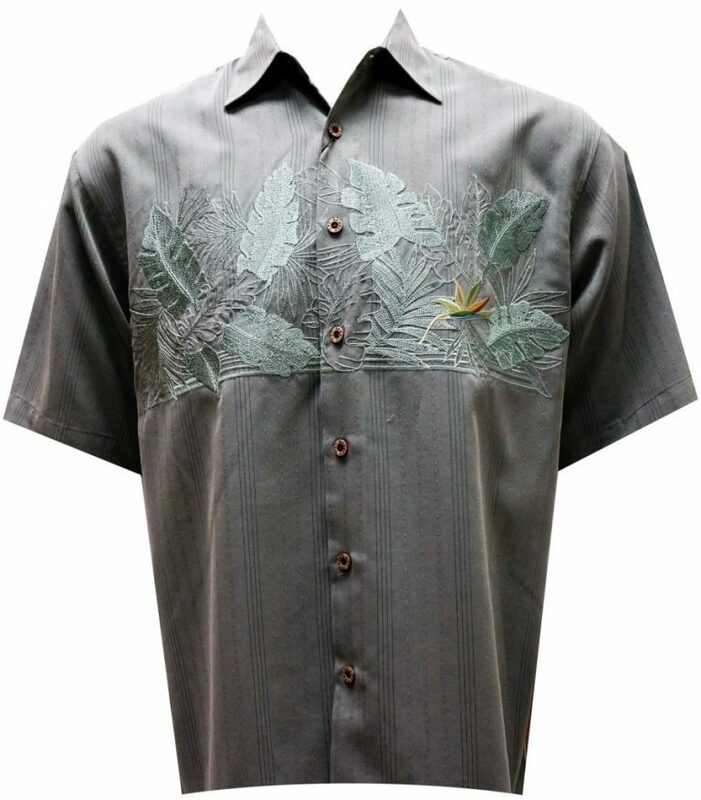 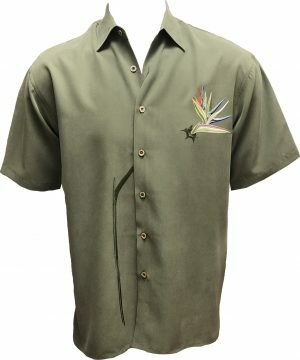 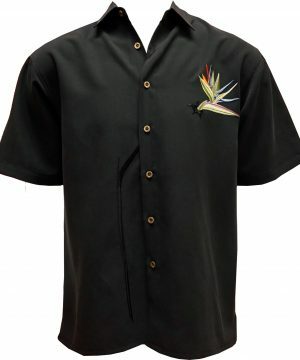 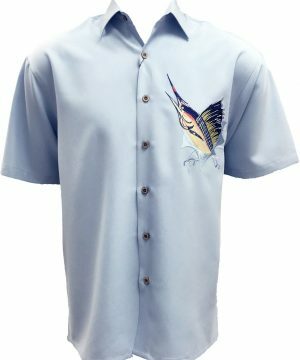 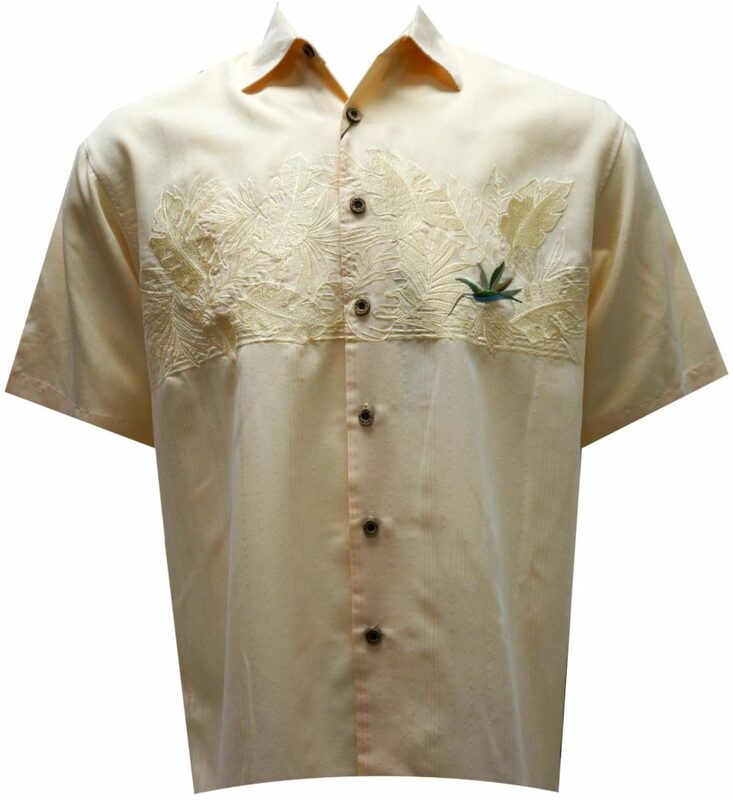 Classic Bamboo Cay short sleeve front embroidered button-down shirt featuring a tonal floral design on a colorful embroidery of a bird of paradise at the chest. 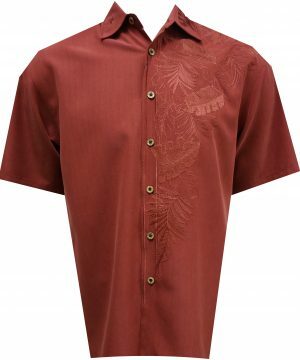 Finished with a pointed collar, full-length front button closure and a split hem. 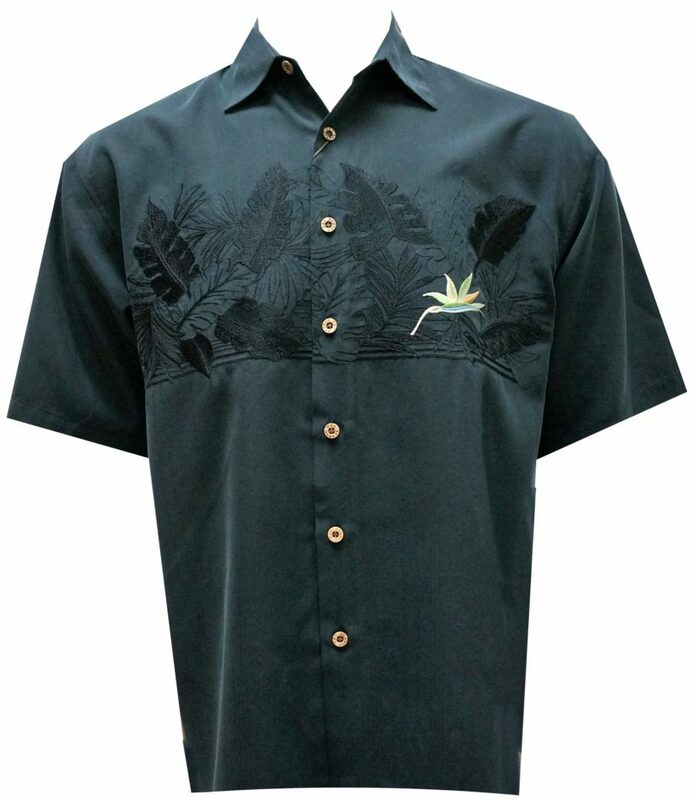 Embossed on a soft textured imported modal fabric, this Bamboo Cay shirt will get you noticed without drawing attention to yourself. 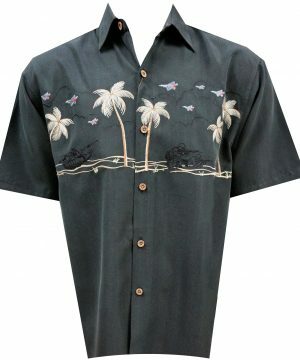 © 2018 Bamboo Cay. 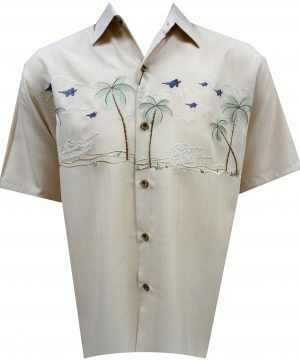 All Images are Copyrighted and All Rights Reserved.